Shelly Kauffman, author of Life Established by Faith Shelly Kauffman is a creative individual from Juniata County, Pennsylvania. Her passion to write began as a little girl and the opportunity to become a published author transpired as a young adult. A sudden twist in her life prompted Shelly to prayerfully consider her next move. As a Christian, her faith in God and patience had established her life to this point and produced victory over her life’s most difficult challenges. Shelly was inspired to share her story with you. We recently caught up with Shelly to learn about what inspired her book and what the future holds. OP: What is your most recent book? Tell us a bit about it. 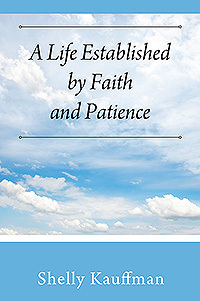 Shelly: The title of my most recent book is A Life Established by Faith and Patience. My book is a personal memoir of instances where God led me to do something, guided me out of a problematic situation, or bestowed blessings upon me. This book was written as my testimony to God’s guiding light. The events, circumstances and people in my book lay a foundation to the turmoil and frustrations that I found myself dealing with as part of my everyday life. Understanding what was happening in my life makes it easier to see and appreciate the peace, miracles and blessings God has bestowed upon me. OP: Tell us something about yourself. 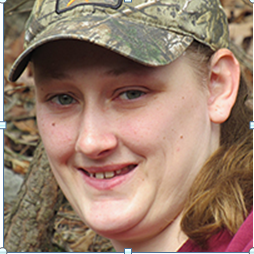 Shelly: I am a stay-at-home mom with two very active children. I homeschool my oldest and serve as a full-time mother to my youngest. We have many animals to care for, and we plan to expand our furry family with another dog in the near future. In addition to becoming reunited with my passion to write, I am also in the process of pursing another life-long desire of building my own business. OP: What inspired you to write this book? Shelly: During my morning Bible study and devotional time, immediately after my life took a sudden turn, God told me to give my testimony. I was inspired to turn my testimony into my first published book. OP: How did you choose the title? Shelly: God inspired the title also. His guidance came after praying for some time about a suitable title that would sufficiently summarize the message God and I wanted to tell, elaborate on my book’s personal contents and intrigue others to want to read it. I was proofing and critiquing my manuscript one evening, and God’s light shown through… my book was about A Life Established by Faith and Patience. OP: What obstacles did you encounter in getting this book published? How did you overcome them? Shelly: I did not encounter any obstacles in getting this book published. I opted not to seek a publisher and put myself through the frustration of trying to be noticed as an unknown author with my first book. I self-published to streamline what God instructed me to do, and to satisfy a life-long desire to be a published author. OP: How did you know you wanted to be a writer? How did you get started? Shelly: I used to dream of becoming a published author; writing is a gift that has been given to me, and one I had an early desire to share. I got started writing as a child. I wrote constantly when I was little, but as I grew older my dream and ability to write grew cold when life became filled with responsibilities. One day I was prayerfully considering my next move; conversing with God my desires to write, design and help people. It was then, during my morning Bible study and devotional time, when God told me to give my testimony. I was inspired to turn my testimony into my long-awaited, first published book. OP: Do you have any writing rituals? Shelly: No, I do not have any writing rituals. I write what and when God leads. Sometimes that is as simple as stopping to write down thoughts and ideas as they come, and then composing a narrative later. Other times, I am led to set aside time and the narrative just flows. OP: Did you learn anything from writing and publishing this book? What? Shelly: I cannot say that I learned anything by writing the book. However, as a self-published author, I am continually learning the avenues for exposing my work, and publication methods for my future books. OP: If you were doing it all over again, what would you do differently? Shelly: I would not change anything regarding the choices for my first book. I am learning by trial and error and will implement changes with future books. OP: What types of books do you like to read? Who are your favorite authors? Why? Shelly: I very rarely read anything other than my Bible and devotionals, but when I do, I cannot say that have a favorite author. I enjoy mysteries, but lately found myself geared toward inspirational Christian books. OP: Are you working on your next book? What can you tell us about it? Shelly: I currently have 3 books started for future publication. They consist of two, adult, nonfiction, books in the category of Christian Life and inspirational memoirs. These books are titled Living Outside the Box and Mom on the Move. The third book I have in progress is a children/teen fiction book series beginning with a book titled The Stranger. I am uncertain which book will be completed first and when, but I can provide some insight into what each one will contain. Living Outside the Box will be highlighting my observations of the “cookie-cutter” society tends to force people through and my continuous efforts to follow God rather than be shoved through the “cookie-cutter”. Mom on the Move will be another testament to God’s guidance and life navigating skills. The Stranger will be a series written for children in which the characters are faced with everyday situations and must choose to follow God. The characters will lead-by example and demonstrate the importance of choosing God’s way. OP: What is the best advice you could give other writers about writing or publishing? Shelly: The best advice I have to give any author who chooses to publish their own book would be to exercise patience! Invest the time and reasonable amount of resources and allow God time to work. OP: Who is the perfect reader for your book? Shelly: The perfect readers for my book would include people who are struggling; anyone who needs encouragement, whose life is spiraling out of control, recently had a devastating situation in life to overcome, or anyone who wants an uplifting, spiritual, inspirational story to read. I wrote my book to remind them that God is always there, and provide a ‘lead by example’ walk of faith. There are many ways readers can learn more about me and my book. My website provides a one-stop shop to catch up with me, find links to my social media sites and purchase my book. Please visit my website: https://inspiration-motivation.live/ and learn more about who I am and what God has planned for my life! Visit Outskirts Press for or more details or to A Life Established by Faith and Patience!